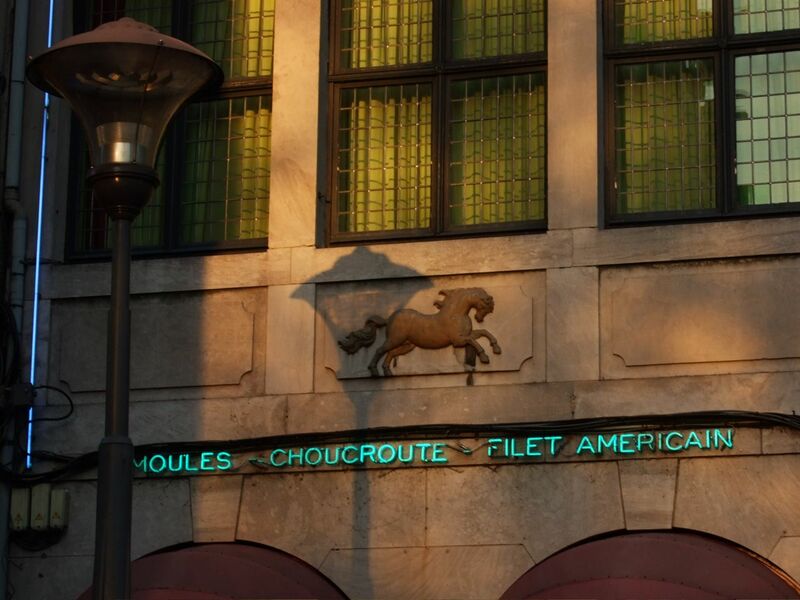 A sign above a city centre restaurant, advertising their specials: Mussels, sauerkraut and 'filet américain'. As any American knows, a filet américain is raw minced beef, served with a raw egg, onions, capers and seasoning. In fact, it's what the French call 'steak tartare'. There is a theory for the etymology of the term filet américain: apparently, Christopher Columbus remarked that the natives of the New World liked to eat heavily spiced raw meat.